For this cook, I am started with a standard Perdue fryer. I need to find a good Amish butcher so I can get some organic free range birds to play around with. 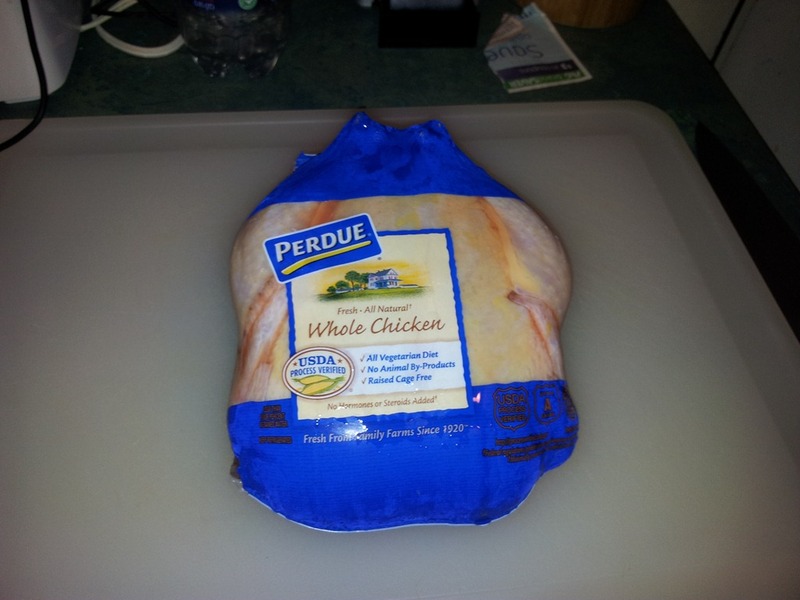 My local grocer stopped selling organic Kosher so I have been using Perdue birds. 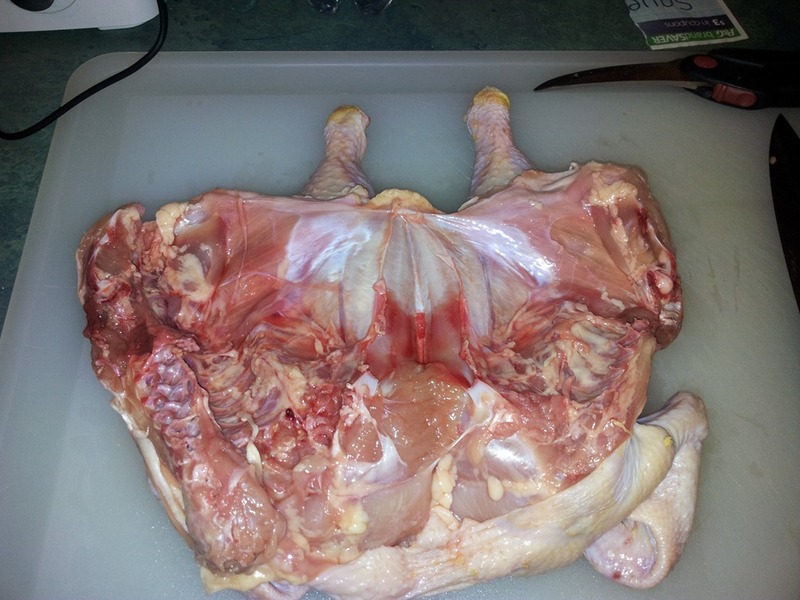 Here you see I’ve cut through the back of the chicken to one side of the backbone. When I butterfly I usually leave the backbone in, vs cutting it out. There is some decent flavor that gets missed when you pull the backbone out. 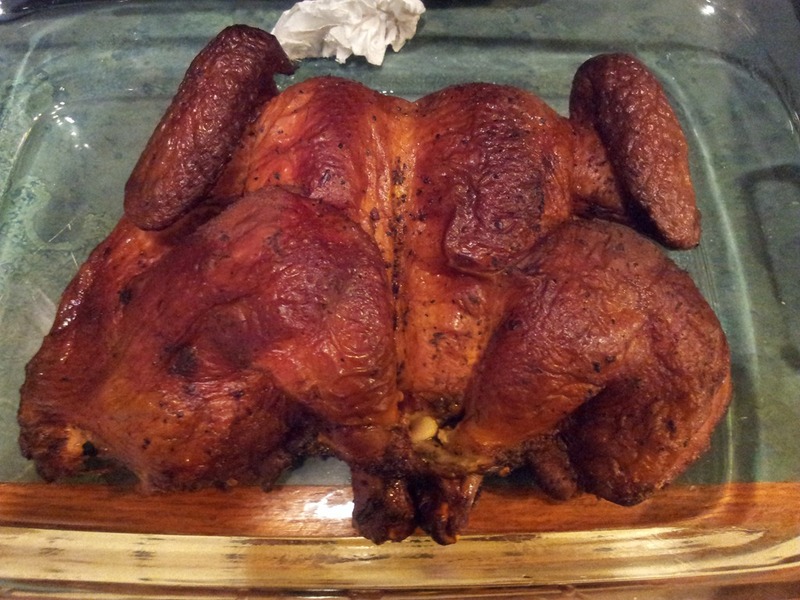 Here the bird is flipped over and you can see where I left in the backbone on the left side. Next step is removing the keel. Which I will show in the next shot. After spreading the two halves of the bird, I position a sharp chef’s knife against the upper edge of the keel as in below. Using a slight cutting motion the blade will cut a small indentation into the bone. 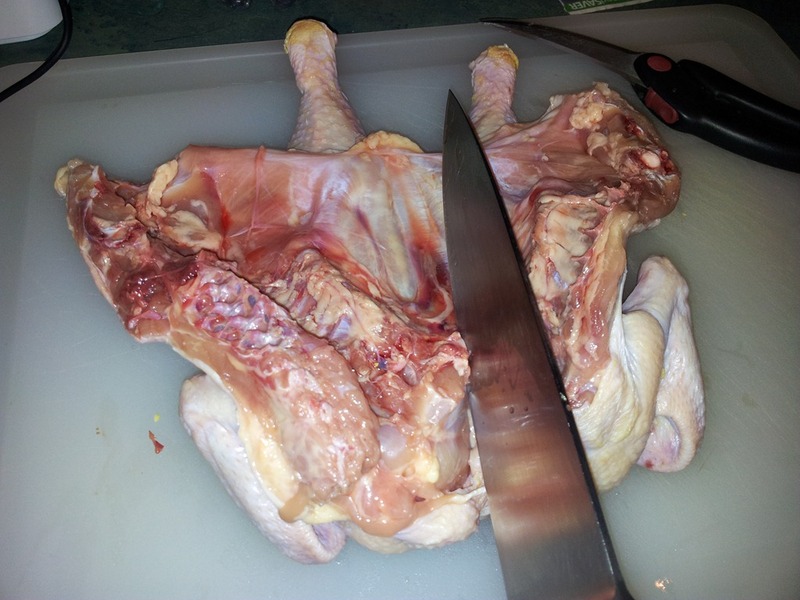 Once done, spread the bird with slight pressure and the breastbone will split. Then run your finger along the underside and pull the whole thing out in one shot. 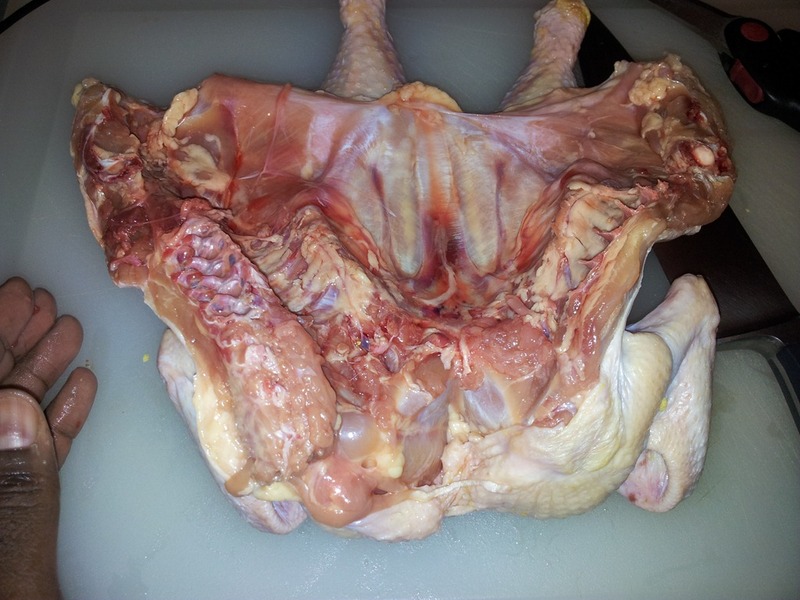 Here is a picture of the bird after the center breast bone has been pulled out. 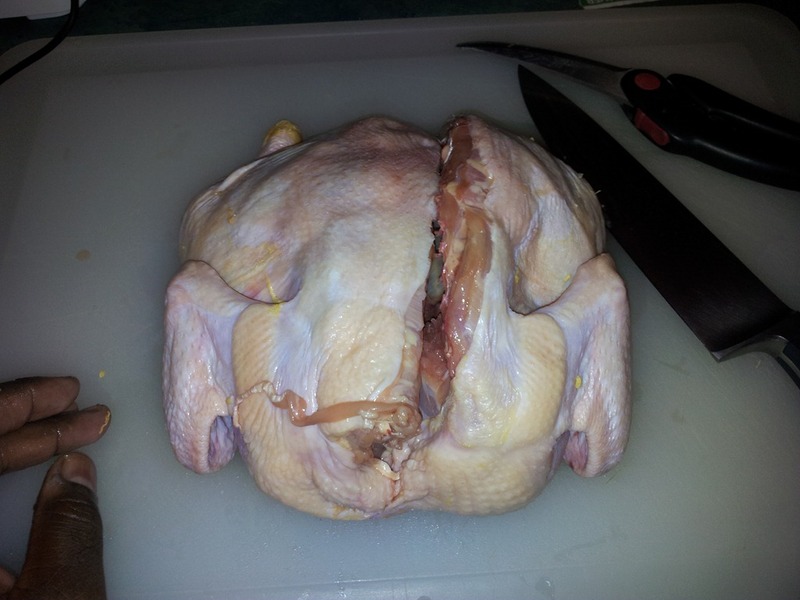 I flipped the bird over and cut two small slits in the lower part of the breast halves to tuck the drumsticks in as in the below picture. 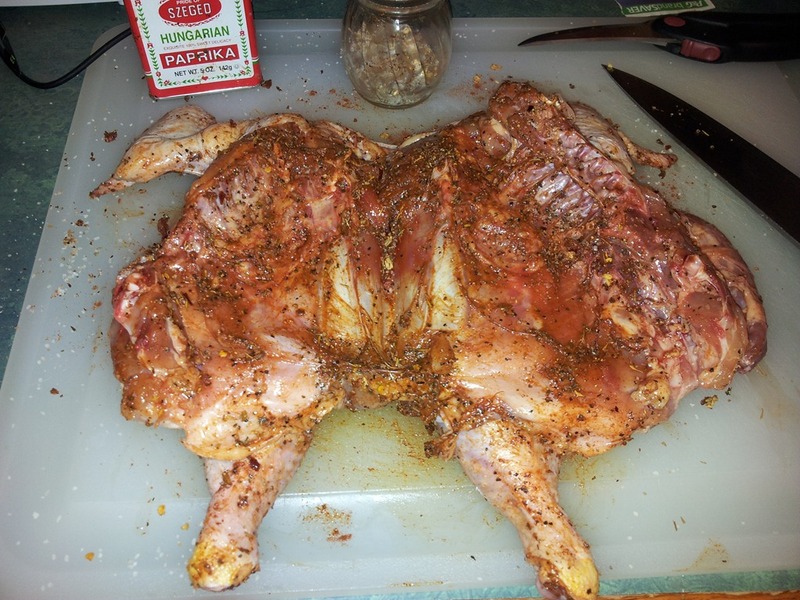 I season with rub with the drumsticks untucked then tuck them back in before I place on the grill. 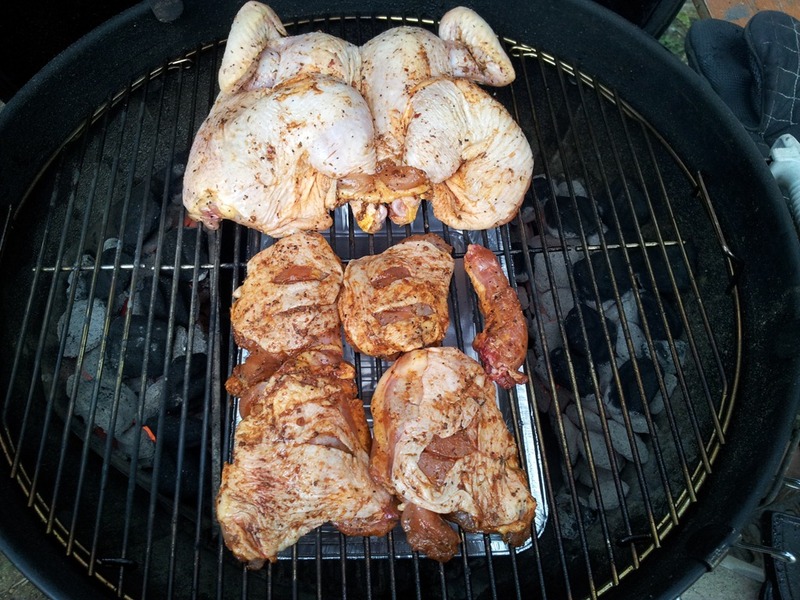 Going on the grill with some spare thighs I had leftover from an earlier cook. Not too bad if I do say so myself. 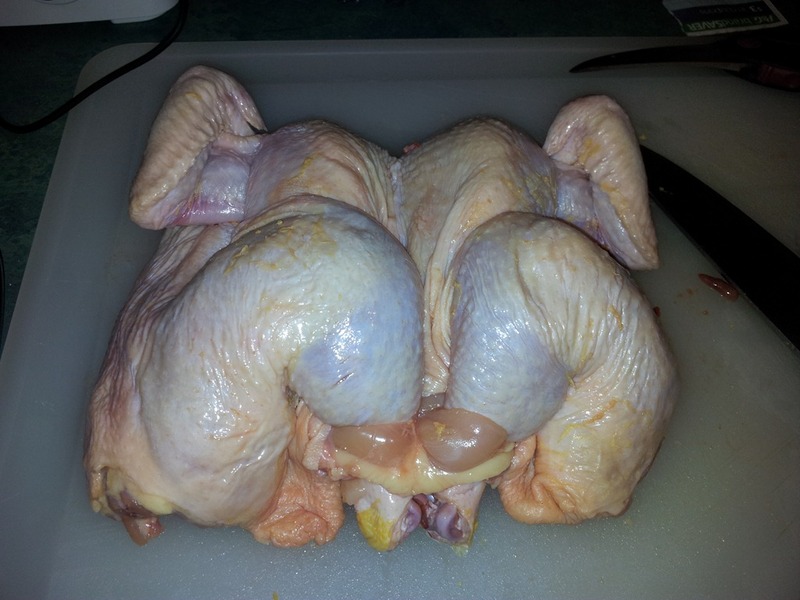 I pulled the thighs off earlier than the butterflied bird as they were finished sooner.